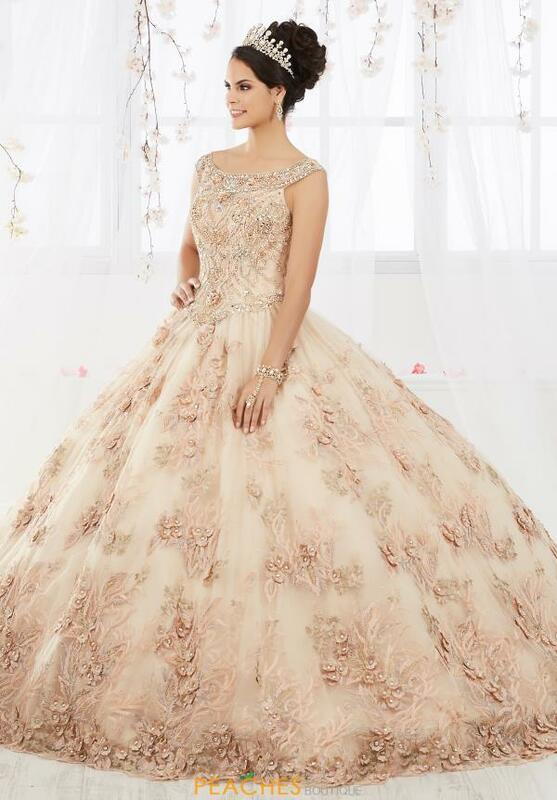 Dramatic ball gown 26918 by Tiffany Quinceañera is sure to make an impact at your special event. This gorgeous gown has a fitted bodice with a scoop neckline and a lace up back. Shimmering stones and stunning bead work adorn the top, creating intricate patterns. The basque waistline ends neatly before flowing out into the shimmering skirt. 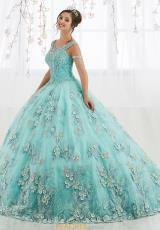 Delicate embroidery and three dimensional flowers adorn the skirt, ending with a beautiful trim around the hemline.